Reversible Flange - Remove the top flange and the bottom mount after the first year of usage, flip the filter unit upside-down, and re-mount the flange and the bottom mount in the new position, and enjoy another year of odor-scrubbing performance. 2 inch Australia Virgin Charcoal Bed Exceptional odor control for better privacy. Cleaner air to promote better health. Pre-filter included. 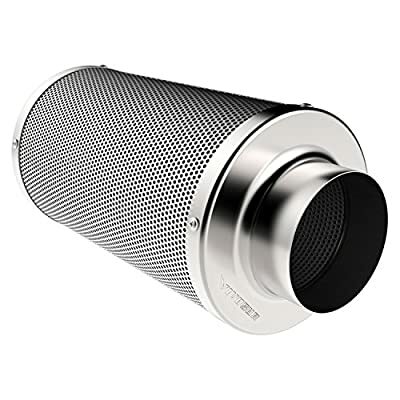 Reversible Flange - Remove the top flange and the bottom mount after the first year of usage, flip the filter unit upside-down, and re-mount the flange and the bottom mount in the new position, and enjoy another year of odor-scrubbing performance.